We have expand our horizons by creating this website. Our plan is to help keep our 4-H Families and our community updated on the latest events and information we have available. 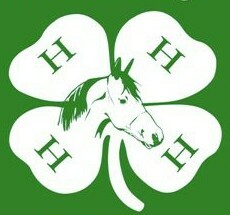 We will be posting information pertaining to the 4-H Horse Project in Jackson County directly on this webpage and hope that it keeps everyone up to date on the latest news and events. Information on our main fundraiser, Rose City Horse Shows, will also be posted on this site. Please feel free to contact us with any problems or questions that may arise by clicking on the Email Us Link! Please contact us with any questions, suggestions or comments! We look forward to hearing from you. MSU Extension Programs are available to all without regard to race, color, national origin, gender, disability, religion or age. Copyright 2012 Jackson County 4-H Horse Council. All rights reserved.